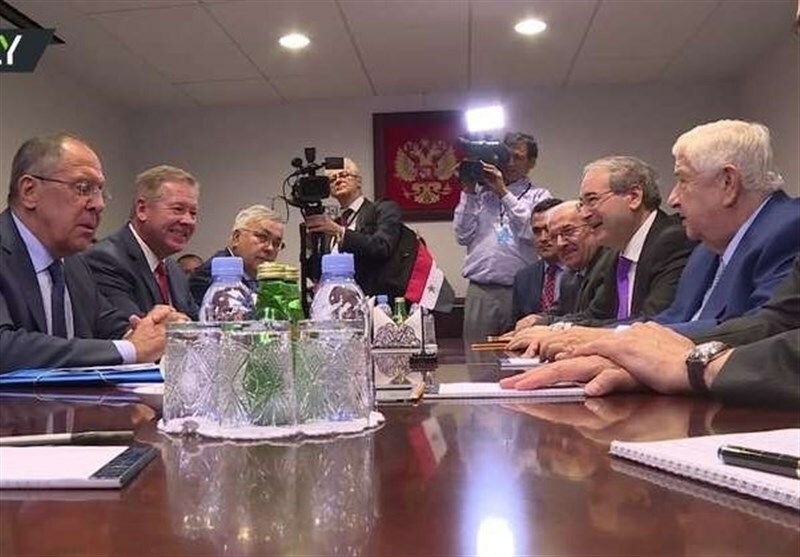 TEHRAN (Tasnim) - Moscow believes partition of Syria must not be allowed as a chain reaction will hit the whole Middle East, Russian Foreign Minister Sergey Lavrov told a news conference on Friday. "First of all, fight against terrorism must be ended, but it is also necessary to start thinking how to restore Syria’s unity," the minister said. "No division must be allowed, a chain reaction will sweep the Middle Eat. This is what some would seek to achieve, those for whom it is advantageous to maintain constant chaos, a mess there," he said at the news conference after a week of high-level meetings at the 72nd Session of the UN General Assembly, TASS news agency reported. "The concept of de-escalation zones was initially declared as temporary," he went on. "Even within the framework of the six-month period in which the concept will be in effect, it was stated that in parallel with de-escalation zones we want to motivate the process of national reconciliation and creation of mechanisms that will help start nation-wide dialog and prepare ground for a political process in addition to what is being done in Geneva," he added. "It is a colossal breakthrough that the Astana process has brought together at the same negotiating table the government and armed units offering resistance to the Syrian government army on ground," Lavrov said. "It is no less important than conversations with emigrants who want to help settle the Syrian crisis. This is a face-to-face conversation between those who have confronted each other with arms in hands up until recently," he added. Starting from May 6, military activities and aircraft flights in the de-escalation zones are banned. The memorandum will remain in effect for six months and can be automatically extended for another six months.